The Azure Podcast | Episode 249 - Managed Identities - The team talks to Identity PM Arturo Lucatero about Managed Identities, that help make resource access easier to manage in Azure. HDInsight Enterprise Security Package now generally available - Now you can create an HDInsight cluster with Enterprise Security Package (ESP) that's joined to an Active Directory domain. You can then configure a list of employees from the enterprise who can authenticate through Azure Active Directory to log on to the HDInsight cluster. The enterprise admin can configure role-based access control (RBAC) for Hive security by using Apache Ranger. Announcing Azure database services for MySQL and PostgreSQL for Azure Government customers - These fully managed, government-ready database as a service offerings bring the community versions of MySQL and PostgreSQL to mission-critical government workloads with built-in high availability, a 99.99% availability SLA, elastic scaling for performance, and industry leading security and compliance. Building on the community edition of MySQL and PostgreSQL, lifting and shifting to the cloud is easier than ever, while maintaining full compatibility with your languages and frameworks of your choice. The Azure DevOps Podcast | Steven Murawski on Infrastructure as Code - Episode 004 - Today, Jeffrey Palermo is joined by special guest, Steven Murawski, to explain the basics of infrastructure, which tools and infrastructures he recommends for those putting together their DevOps tool belt, the value in defining your infrastructure as code, where to get started and how to modify your infrastructure on the fly, and how to minimize your opportunities for failure. Ansible 2.7: What’s new for Azure - Ansible 2.7 is out. This release includes 21 new Azure modules for automating deployment and configuration of Azure Web Apps, Azure Traffic Manager, Azure Database, Azure Application Gateway, and Azure Autoscale. It also includes additional facts modules for Azure Virtual Machines and Azure Container Registry. With Ansible 2.7 and Jenkins, you could enjoy a seamless CI/CD experience for Azure Web Apps. World-class PyTorch support on Azure - Azure Machine Learning Services provides support for a variety of frameworks including TensorFlow, Microsoft Cognitive Toolkit, and PyTorch 1.0. PyTorch 1.0 takes the modular, production-oriented capabilities from Caffe2 and ONNX and combines them with PyTorch's existing flexible, research-focused design to provide a fast, seamless path from research prototyping to production deployment for a broad range of AI projects. While PyTorch's Python-first integration and imperative style have long made the framework a hit among researchers, the latest PyTorch 1.0 release brings the production-level readiness and scalability needed to make it a true end-to-end deep learning platform, from prototyping to production. 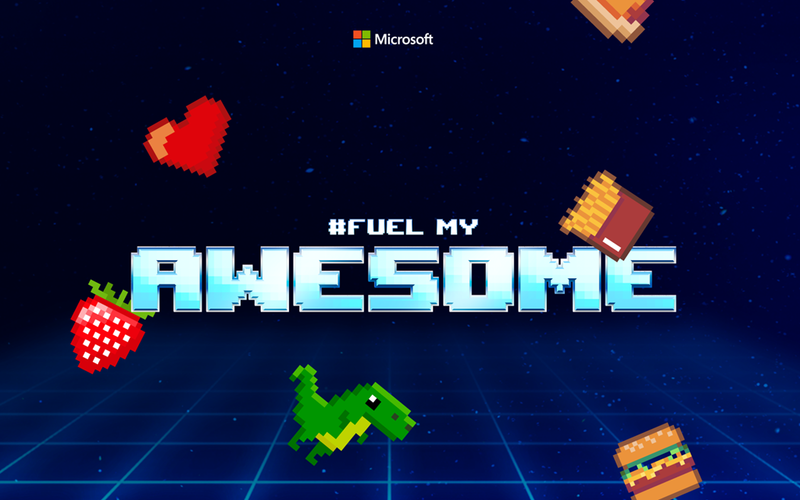 Fuel My Awesome: Celebrating developers and what makes them awesome - Starting today, #FuelMyAwesome is back on Twitter to celebrate developers like you, and we want to hear about all the things that make you tick and keep you inspired. Whether that’s a lucky beanie or a cold brew, a delightful desk toy or a fun way to get fit, we want you to share it with us for a chance to win cool swag. @msdev will tweet weekly questions to uncover how you get in the zone, celebrate wins, recharge your batteries, and more. Read this post to learn how you can participate and be entered for a chance to win. One month retirement notice: Access Control Service - Last year, we announced the retirement of Access Control Service, which will retire on November 7, 2018. There is an extension available to push that date to February 4, 2019, but you must opt-in to request an extension. The Azure customers most likely to find ACS namespaces signed up Azure Service Bus prior to 2014. A migration guide is available to assist you with your migration strategy. Microsoft joins LOT Network, helping protect developers against patent assertions - Microsoft is joining the LOT Network, a growing, non-profit community of companies that is helping to lead the way toward addressing the patent troll problem, an issue that impacts businesses of all sizes. By joining the LOT network, we are committing to license our patents for free to other members if we ever transfer them to companies in the business of asserting patents. This pledge has immediate value to the nearly 300 members of the LOT community today, which covers approximately 1.35 million patents. Azure Friday | Full-stack end-to-end monitoring with Azure Monitor - Rahul Bagaria joins Lara Rubbelke to discuss Azure Monitor, which now includes Log Analytics and Application Insights. Azure Monitor provides full stack monitoring tools for collecting and analyzing telemetry that allow you to maximize the performance and availability of your cloud and on-premises resources and applications. It helps you understand how your applications are performing and proactively identifies issues affecting them and the resources they depend on. The Best CLI Is the One You Don’t Have to Install (InfoQ) - In this article, Burke Holland explores the many riches of what's available in Azure Cloud Shell, including code editors and command-line tools for working with your Azure resources. Exploring the Docker Extension for VS Code and .NET Core - Shayne Boyer explores the most recent update to the Docker Extension for Viusal Studio Code and .NET Core. Five things about Azure DevOps with Damian Brady - In this first episode from Season 2, Burke sits down with Damian Brady, Li'l Sebastian and a carnivorous rabbit to bring you Five Things about Azure DevOps. What is Azure DevOps? Why should you care and how many miniature horses is too many? All this and more in the season opener of your seventh favorite show. Azure Lab Services: Enable multi-VM environments through nested virtualization - Creating a classroom lab just got easier and more streamlined in Azure Lab Services. When creating a new lab, you will be taken through a wizard flow that guides you through the steps of selecting the virtual machine specifications, setting up default virtual machine credentials, configuring a template virtual machine, and publishing to make virtual machines available to your users. Azure Lab Services: Easy and Guided Lab Creation Flow - Azure Lab Services enables you to set up one template virtual machine in a lab and make a single copy available to each of your user. But if you are a professor teaching an IT class on how to set up firewalls or servers, you may need to provide each of your students with an environment in which multiple virtual machines can talk to each other over a network. Nested virtualization enables you to create a multi-VM environment inside a lab’s template virtual machine. Publishing the template will provide each user in the lab with a virtual machine set up with multiple VMs within it. Azure Tips & Tricks | How to load test your web apps with Azure App Services - Learn how to configure load testing in your Azure Application Services web applications. By configuring load tests, you will be able to get the amount of successful results you had, the amount of failed results you had, the average load time, and more. Azure Tips & Tricks | How to work with app settings in Azure App Services - Learn how to work with application settings in Azure Application Services. In Azure Application Services, you can use app settings to store and change configuration information without having to change any of your application code. Azure Tips & Tricks | Become more productive with Microsoft Azure tips and tricks - In this fast-faced and demo-heavy session from Ignite 2018 we take you through some of our favorite Azure tips and tricks—some long-standing, and new ones that have recently been added. Whether you’re interested in quick ways to navigate the Azure Portal, making the most of the Azure CLI, or working with the IDE and editors of your choice, there’s something for everyone. Spark + AI Summit Europe - Developing from cloud to the edge - Organizations around the world are gearing up for a future powered by data, cloud, and Artificial Intelligence (AI). Last week at Spark + AI Summit Europe, Rohan Kumar, Corporate Vice President, Azure Data, talked about how Microsoft is committed to delivering cutting-edge innovations that help our customers navigate these technological and business shifts. Whether you want to use Spark on SQL Server 2019, build deep learning and AI models in the cloud with Azure Databricks, or deploy them at the edge with Azure Machine Learning service, learn how we have you covered. Twitter AMA with the Azure Functions team #FunctionsAMA! - The Azure Functions team will host a special Ask Me Anything (AMA) session on Twitter, Thursday, October 11, 2018 from 9:00 AM to 11:00 AM Pacific (GMT -7). You can tweet to @AzureFunctions or @AzureSupport with #FunctionsAMA with your questions about the service. AI Show | “Snip Insights” An open source cross-platform AI tool for intelligent screen capture - Snip Insights is an open source desktop utility that enables cross-platform users to retrieve intelligent insights over a snip or screenshot. Screenshots are essentially snapshots of moments. Snip Insights leverages cloud AI services to convert images to translated text, automatically detect and tag image content, along with many smart image suggestions that improve workflows while showcasing Azure Cognitive Services’ potential. Azure Marketplace new offers – Volume 20 - The Azure Marketplace is the premier destination for all your software needs – certified and optimized to run on Azure. Find, try, purchase, and provision applications & services from hundreds of leading software providers. In the second half of August we published 87 new offers, including new virtual machines, web applications, container solutions, and consulting services. Enabling real-time data warehousing with Azure SQL Data Warehouse - Azure SQL Data Warehouse (SQL DW), Microsoft’s fully managed analytics platform leverages Massively Parallel Processing (MPP) to run complex interactive SQL queries at every level of scale. Striim now fully supports SQL Data Warehouse as a target for Striim for Azure. Striim enables continuous non-intrusive performant ingestion of all your enterprise data from a variety of sources in real time. GoChain blockchain available on Azure - The team at GoChain is bringing their private, scalable blockchain offering to Microsoft Azure. GoChain is a smart contract blockchain based on a go-Ethereum code fork, with changes to protocol and consensus model primarily to increase the transaction speed of the network. This is achieved through core protocol changes as well as the introduction of Proof of Reputation consensus mechanism. This function similar to the current Proof of Authority based models in that verification of blocks are controlled by validation nodes agreed upon by the consortium. The IoT Show | Azure Sphere Architecture Discussion - Ed Nightingale, Partner Architect for Azure Sphere, joins Olivier on the IoT Show to discuss architecture, detailing how the silicon, the OS and the Security Service are built to allow securely connecting the billions of MCU based IoT devices that are coming. The IoT Show | What's new in the IoT Toolkit extension for VS Code - Did you know there was a VS Code extension to develop with Azure IoT Hub? If you didn't (and even if you did! ), you don't want to miss this new episode of the IoT Show. See how simple it is to start your IoT development right from Visual Studio Code. Healthcare costs are skyrocketing! Reduce costs and optimize with AI - David Houlding, Principal Healthcare Program Manager, Industry Experiences, highlights three strategies to optimize healthcare using artificial intelligence: optimize your healthcare operations using AI; deploy AI in the cloud to further reduce costs, improve agility, and scalability; and accelerate your AI cloud initiative with blueprints. Accelerating healthcare AI startups in the cloud - David Houlding, Principal Healthcare Program Manager, Industry Experiences, reviews key goals of any healthcare AI startup, and how Microsoft Azure empowers startups to both meet their goals and maximize the benefits of AI to the healthcare organizations they serve. Cooling down storage costs in the healthcare AI blueprint - David Starr, Principal Systems Architect, Microsoft Azure, discusses features of Azure Blob Storage, and practices to lower the cost of blob storage while using the Azure Healthcare AI blueprint, which installs a HIPAA and HITRUST compliant environment in Azure for managing and running healthcare AI experiments. Protecting banks through cloud-based sanction screening solutions - Howard Bush, Principal Program Manager, Banking and Capital Markets, provides some insights on how banks are seeking to rationalize and simplify security and compliance processes in real-time. The path stretches from the device to the network and back-end infrastructure. The goal is to ease the burden on employees and reduce costs from fines. Time synchronization for financial services in Azure - For many workloads in the capital markets space, time accuracy is money. Alan Ross, Senior Director, Financial Services Industry, describes how Microsoft ensures our customers are aware of time accuracy and synchronization best practices, and how you can mitigate the risk of negative impact due to time synchronization issues on Azure. 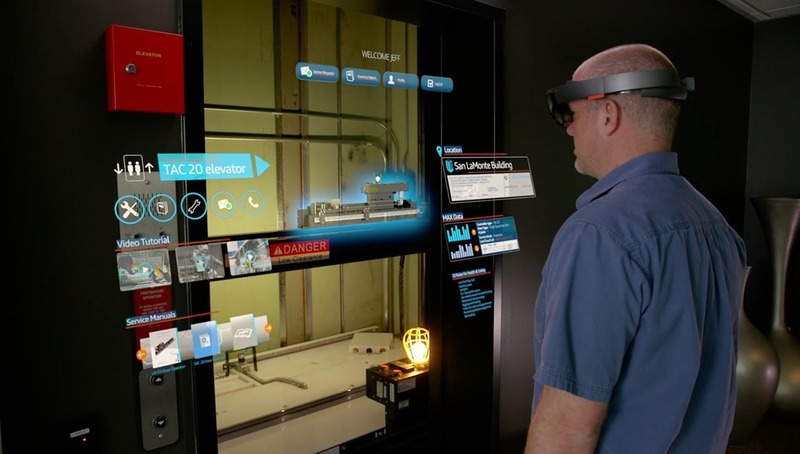 IoT solutions for manufacturing: build or buy? - Diego Tamburini, Principal Manufacturing Industry Lead - Azure Industry Experiences Team, provides a simplified overview and next steps for a manufacturer who wants to take its first steps towards IoT. 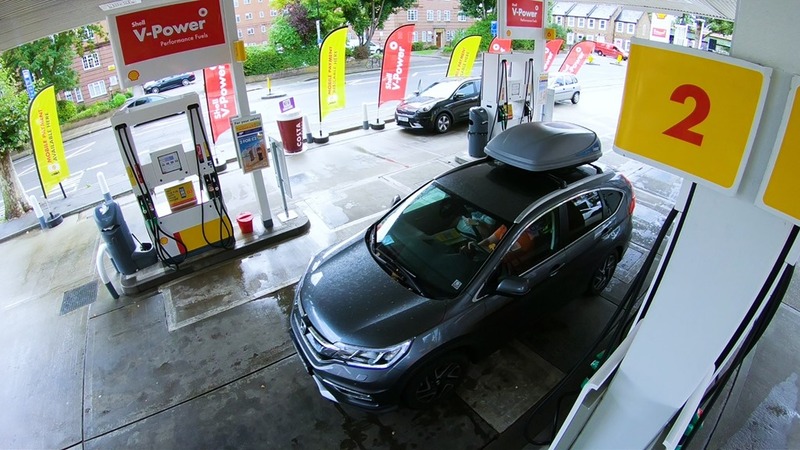 Eight use cases for machine learning in insurance - Scott Seely, Principal Solutions Architect, covers eight common use cases for machine learning (ML) in insurance, along with resources for getting started with ML in Azure. Machine learning enables computers to learn from data through techniques that are not explicitly programmed. Insurers can use artificial intelligence (AI) applications to intelligently process and act on data. Gaining insights from industrial IoT data with Microsoft Azure - Ercenk Keresteci, Principal Solutions Architect, Industry Experiences, researched how to put together a solution for manufacturers to gain insights from the existing IoT data they have. Read this post to learn more about it and download his solution guide on extracting insights from IoT. Azure This Week | 5 October 2018 - In this episode of Azure This Week, Dean takes a look at a new tier of Azure API Management, updated support for Azure in Ansible 2.7 and how you can implement Advanced Threat Protection on your Azure storage accounts.